The task was to make a image with the theme of Estonia versus Europe. 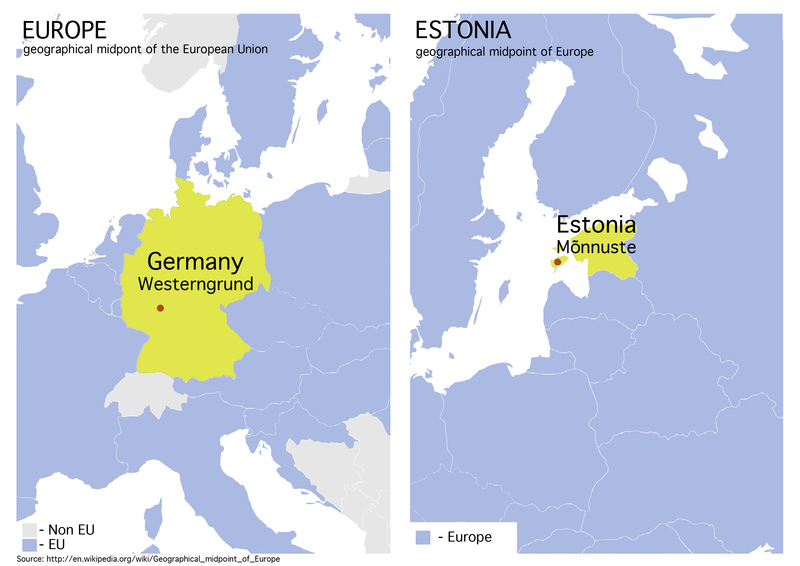 My solution was to take the middle point of the European Union and the middle point of Europe (that happens to be in Estonia). This was one of my first bigger works, so I learned about using Photoshop and I learned about exporting images to Facebook.